On Jan. 1, Teri Gant, the founder of the Father's Heart Street Ministry and my dear wife, succumbed to complications of pneumonia and the flu virus. If you talk to anyone who knew Teri, they would tell you she was unparalleled in her ability to offer unconditional love, deep compassion and genuine respect to every person she served. Her tireless efforts to help the homeless in our community provided hope and comfort to thousands in desperate need. Teri's path to opening the Father's Heart Street Ministry was unconventional. In the late 1990s, she received a phone call that changed her life: her brother was addicted to heroin and living on the streets of downtown Portland. On her quest to find her brother in Portland, Teri passed homeless people waiting in a soup kitchen line. It was then that Teri began to hear God's call to serve these vulnerable members of our community. Soon, Teri began collecting food donations, clothing and hygiene supplies and driving through Clackamas County cities and neighborhoods to deliver these basic supplies to people living on the streets. She filled our garage and every spare storage space in our home. We quickly realized Teri was so devoted and dynamic that the donations outgrew our home, and the work was simply too much for just one person. Eventually, we secured our current spot in Oregon City where, with the help of three staff members and numerous volunteers, we offer an array of services to the homeless. Ultimately, Teri helped hundreds of people move off the streets. She ensured thousands more had their basic needs of food, clothing, and personal acknowledgement met. Teri's message to those she served was simple: "I see you. I value you, and I want to help you with whatever you need." While Teri's spirit lives on, so must her work. 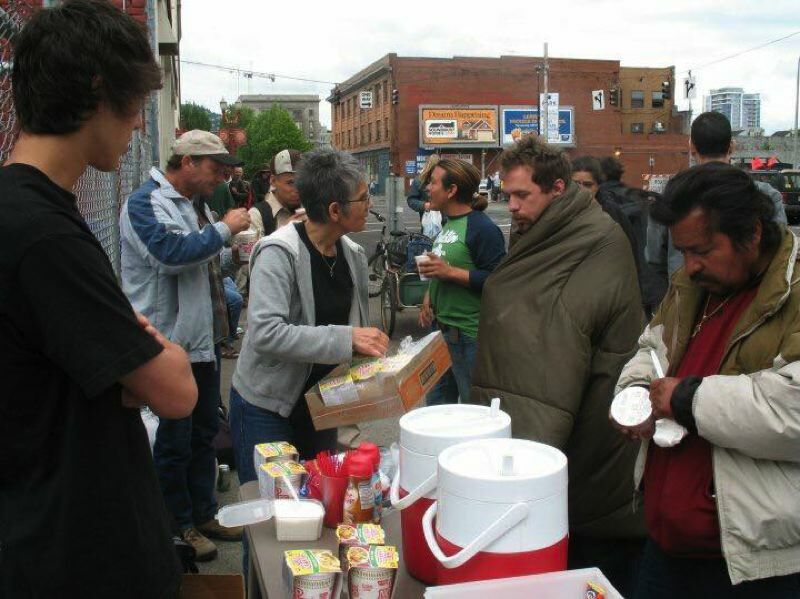 As a community, it is now our turn to step forward and follow in Teri's footsteps of assisting the homeless and engaging and educating community members about the deep challenges of homelessness. But how? It goes beyond volunteering and donating. It starts with our elected leaders. Our elected officials are faced with covering a $1.6 billion budget deficit. While there are many priorities that need to be addressed in the budget, I know Teri would fiercely advocate that Oregon must ensure that everyone has a safe place to call home. Please join me, and in Teri's memory, in supporting an increase in two state funding sources — the Emergency Housing Account and the State Homeless Assistance Program. The faith community can accomplish a lot. Sometimes, even a miracle. But without adequate funding from the state, our efforts will fall short. Estacada resident Marty Gant is president of the Father's Heart Street Ministry in Oregon City.